Almost every runner is familiar with the big name race series- Rock’N’Roll, Ragnar, Vacation Races, etc. One of my goals is to try at least one race from each of them at some point. The fact that the DIVAS half marathon series hosted a special edition half in a town just 25 minutes from my house seemed like the perfect opportunity to sign up this past February. From the start I planned on my DIVAS experience being a one and done. For one, the races are extremely expensive. For my $200+ DIVAS Temecula Wine Country registration I did get a LOT of swag, including a beautiful medal and jacket, light up tutu, tiara, feather boa, and wine glass. The race ended at a vineyard and four wine tastings were included as well. The giant medal that doubled as a mirror. How Diva is that? The other reason I banked on this being a once-in-a-lifetime experience was the whole “diva” theme. Simply put, I am not a Diva. Quite the opposite in fact. When we were handed tiaras and feather boas at mile 13 so that we could cross the finish line wearing them, I started to giggle. When the buff, shirtless fireman put my medal around my neck, I couldn’t look him in the eye for fear of cracking up. The whole thing was a little ridiculous. Swag, pomp and circumstance aside, the rest of the race was just okay. Temecula wine country is BEAUTIFUL, and the first half of the race didn’t disappoint. We ran past gorgeous shaded estates and equestrienne stables. But the second half was on a packed dirt trail; a narrow out-and-back surrounded by boring pasturelands. I felt like an ant in a line following my colony, and I couldn’t wait for it to be over. I’m sure the wine tasting party at the end would have been a lot more fun had I gone with a group of girlfriends, but I felt awkward by myself so I quickly finished my glass and hopped back on the shuttle. I embraced my (non-existent) inner Diva, if only for a day. The DIVAS race capped my first post-partum training cycle and was a fun reward for my return to running regularly. While I don’t see myself running this race again, I was happy that I crossed the event off of my list. 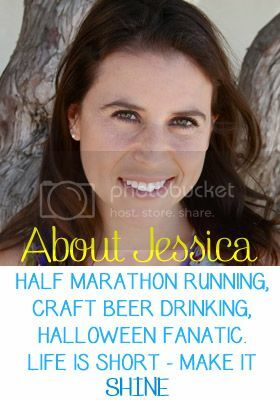 Categories: Race Recaps, Running | Tags: Divas, Divas Half Marathon, Race Recap, running, Temecula | Permalink.